In one of my earlier posts, I had questioned the wisdom of getting a netbook, when portable laptops like my Dell XPS 1330 provide a better performance and a reasonable level of portability. But that was in March, and things are changing rapidly in the Netbook world - prices are falling, there are talks of a dual core Atom processor in the works, and options of Windows 7, Linux and Chrome OS are available. So will that change my opinion? Should I replace my ageing desktop with a second, more powerful one, or should I get a good netbook for a slightly lower cost? The cost differential should not be large as I basically want to replace only the CPU. I could get a netbook for approximately Rs.17000-19000 at Croma or Vijay Sales and a desktop without monitor for Rs.20000-25000. In this price range, the desktop would have an E7x series processor, 4 GB RAM, 250 GB + hard drive, wi-fi and Windows 7. It would be a decent upgrade on my current desktop. In a small Mumbai flat, housing a desktop does pinch. Mine has a dedicated cabinet. I am itching to use that space for the papers and files that pile up effortlessly in a home office. So, it has to be portable. One of the disadvantages in a Home Office environment is a lack of good professional IT support, which is always on call 24X7 in an organisation. If you work with a company and your laptop goes on the blink, chances are that within a few hours you will be given a replacement, your backed up data will be transferred onto it, and you will suffer a few hours of downtime at best. But that won't be the case for me, now that my machines are out of warranty. Even when they were within warranty, onsite repair would take at least 24 hours. I cannot afford that kind of downtime, and I need a laptop constantly as I travel a lot. So it makes sense for me to have a second laptop rather than a desktop. At least, I will have a second machine to keep going with my work. My style of working, like most people, is multi-tasking. At any point, I have 5-6 tabs open in Firefox, 2-3 heavy PowerPoint files, background music playing and possibly also a Skype call in progress. From what I have seen and tested of Netbooks, they would struggle would this load. Manage, but struggle and slow down. I'm not used to that any more. So if I do get a second mobile client, it would be a performance notebook. Already, the specs would make it a bit faster than my 2 year old XPS, though it would be bulkier. And it would double up as my desktop replacement (maybe I would hook it up to my 19 inch LCD monitor for movies or video editing). I would spend maybe Rs. 10,000 more than I would on a desktop and Rs.15,000 more than I would on a netbook, but it would give me far greater functionality for the kind of work that I do. 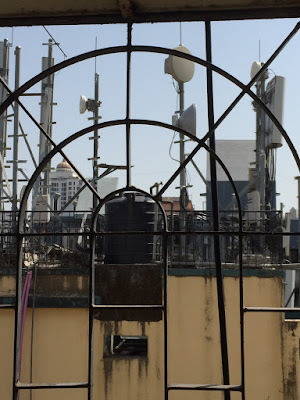 I still cannot justify a netbook/tablet/thin client at least in an Indian context, where net connectivity remains poor, 3G non-existent and as a result, makes the Cloud a distant dream rather than a reality.